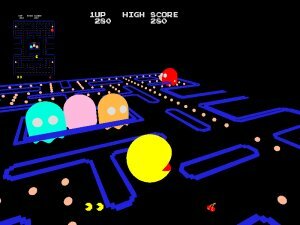 Pacifi3d is a proof-of-concept pacman emulator that replaces the original pacman sprites and tiles with OpenGL 3D graphics. Pacifi3d currently runs on Windows and Linux. Pacman draws graphics by requesting the hardware to draw a sprite or tile at a specified position in a certain colour. 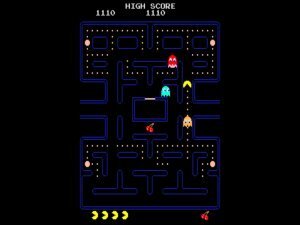 Pacifi3d replaces the 2D video emulation of a standard pacman emulator with code to draw an equivalent 3D model at that position. 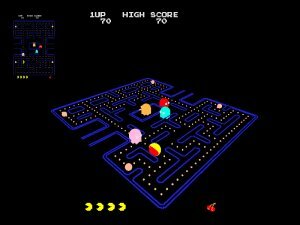 Having transformed the graphics output into 3D it is also possible to place the camera at the players position to simulate pacman from a 1st person perspective. Download and unpack the binaries for your system. Place the roms in the provided roms subdirectory unzipped. Run the pacifi3d executable. F1 - Cycle between views. 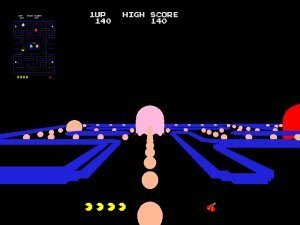 Mouse - If you click and drag the mouse on Pacifi3d then movements will tilt the maze in 3rd person view. SDL library - Sam Latinga et al. Face on the scared ghost. Thanks to retrogames.com for the hosting.